We are very grateful to the following organizations for collaborating with us: The Foundation of the United States in Paris, Association Chopin à Nohant, The Polish Library in Paris, and Friends of Chopin Australia. Without assistance from these institutions it would be impossible to have things done. The next great news is that Eduard Akselrud is now our projection technician and video manager, who will be flying over to Paris from New York City at the end of March to join us for the DVD filming, and all the projection work! We also gained a visual effects assistant Shahin Alirkan, who is working on the compositing of the entire visual part, as well as helping with additional film shooting! He is also based in New York and works with us long-distance. This is a research/performance piece about the Paris years of Frédéric Chopin. 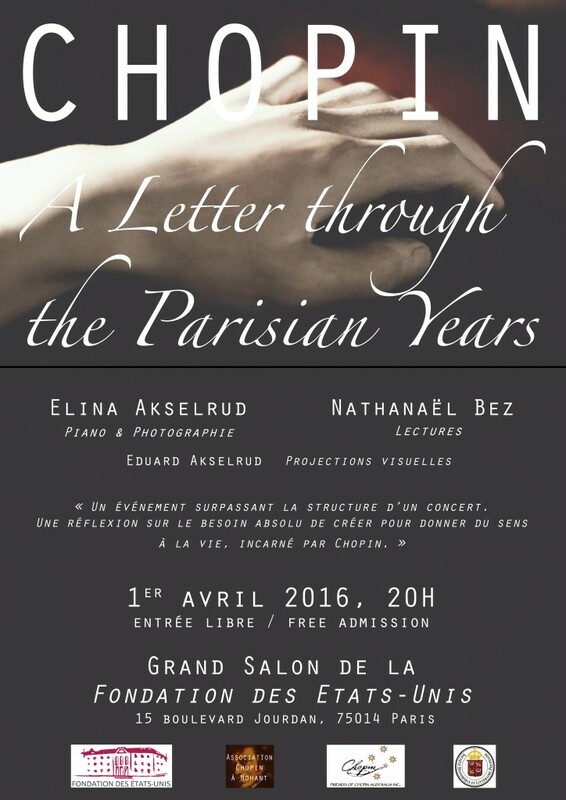 This unique event combines at least three art genres: the solo piano performance of Chopin’s music, theatrical readings of his letters and poems by Polish poets of his time, and photographs or short video clips of his Parisian life including his pianos, manuscripts, personal belongings, portraits, routes, and more. However, your help is very much needed for bringing this performance to life! Please check out the links below! To finish off the year of Scriabin! 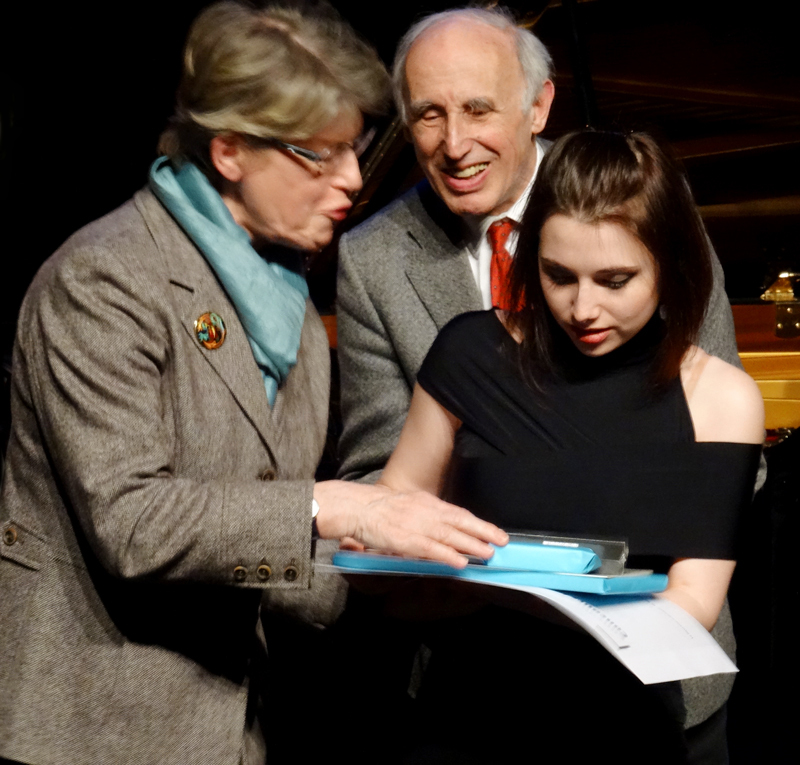 I am happy to announce that I have won 3rd Prize at the 18th International Music Competition Jean Françaix in Vanves, France!